Learn how to find the 7 scale modes and how to play them on the piano. Did you know that musical modes are also great to use as a basis for improvisation? To help you find the piano scale patterns of the most common scales and modes, you can simply use the white keys on the piano as “templates”. The white keys instantly gives us the patterns for the 7 modes, or modal keys. "Hidden" on the white keys are the pattern "templates" for the 7 Modes, including major and minor. (You can also find the Pentatonic Scale on the black keys). The 7 modes are sometimes called the 7 Major Scale Modes, since they are derived from the notes of the major scale. You simply start a new scale from each step of the major scale! The easiest way to see this on a piano is by using the white keys, or the C major scale. The modal scales are also part of a group called Diatonic Scales. Diatonic Scales are built with two types of steps (intervals): whole steps and half steps, or tones and semitones. From one of the white keys to the next of the same, eight notes (1 octave) higher, you can see the specific pattern of whole and half steps (tones and semitones) for each of the 7 modes. So where do those strange names come from? Ancient Greece of course! During the Renaissance the modes were named after ancient tribes in Greece. But actually they have nothing at all in common with the modes from ancient Greece, just the names. The modes are also referred to as modal, church modes, or simply modes. You can move or transpose all piano scale patterns just by starting from another note. To keep the specific mode- you just need to keep the particular pattern of half and whole steps, by using black keys where necessary. 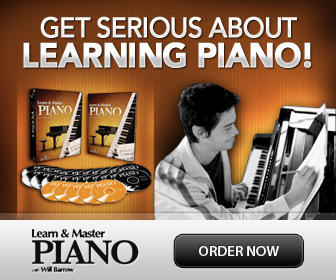 Non-Diatonic Piano Scale Patterns: Blues, Pentatonic, Chromatic and more!